United Arab Emirates or UAE, is a country that is engulfed in high humidity and soaring high temperatures perennially. With October-April being pleasant months as far as temperature and humidity is concerned, the summer period from June-September would make you want to stay indoors. In the summer months, the temperature could go as high as up to 45°C. To battle the heat, it is necessary for us to take appropriate measures. The UAE government has taken commendable measures to lessen the hardships of its citizens by introducing artificial cooling systems in hotels, metros, buses, bus stops, etc. 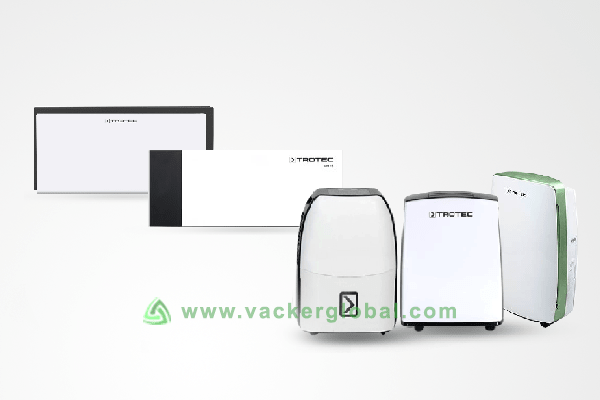 Vacker UAE adds to these efforts, by supplying Dehumidifiers and Humidifiers across UAE, in Dubai and Abu Dhabi, in order to keep in check the humidity of your surroundings. What are Dehumidifier and Humidifiers? A Dehumidifier, as the name suggests is a device that is used to dehumidify or decrease the humidity level in the environment. This is done by absorbing the air through an inlet, that is then compressed using a compressor built inside. Post compression, the moisture gets converted into water , which can subsequently be used for gardening, etc. A Humidifier, on the other hand is used to increase the level of moisture content in the air. Here, moisture is generated by manually filling a water tank with water, which then gets converted into moisture with the help of a fan. Air in the room is absorbed and mixed with this moisture and finally released through an outlet. Damage to ancient artefacts, frames of musical instruments and other humidity-prone objects. Food items that need to be stored within certain permissible limits. Static electricity can be generated due to low humidity, thereby causing fire. Building up of layers of mold or fungus due to swimming pool walls being damp all the time. Mold/fungus growth on leather items. Relative humidity is calculated as a percentage of the air volume. Varying sizes from small to large for residential to industrial purposes, respectively. 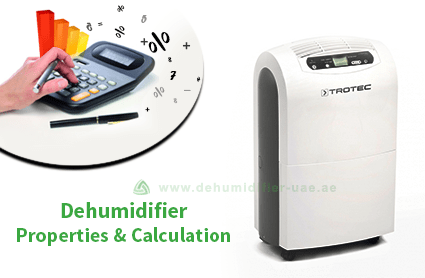 Vacker UAE supplies various models of industrial, commercial and residential dehumidifiers and humidifiers. 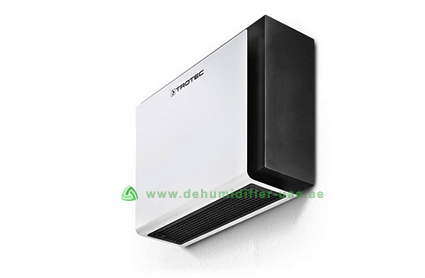 The Dehumidifiers supplied by Vacker UAE are manufactured by Trotec, Germany, a leading company in the manufacturing of Dehumidifiers, since the 1960s. 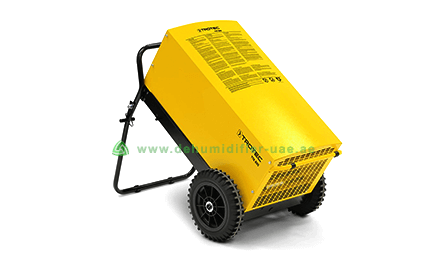 Commercial Dehumidifier: used for commercial purposes intended for larger areas. Desiccant Dehumidifier: that make use of a desiccant or a drying agent(silica gel) to absorb humidity from the atmosphere. Basement Dehumidifier: To reduce the humidity level in basements. Portable Dehumidifier For Home And Office: Small handy devices for a healthy living at homes and offices. Condensation Dehumidifier: The most commonly used Dehumidifiers that work on the principle of condensation. Swimming Pool Dehumidifier: To reduce the humidity levels around a swimming pool that causes fungal growth on the damp walls. Cool Mist Humidifier: Water stored within the unit is converted into moisture with the help of a rotating disc. Portable Evaporative Air Humidifier: It is composed of a water reservoir, wicks and a fan. Ultrasonic Humidifier: Small portable model for use in homes.